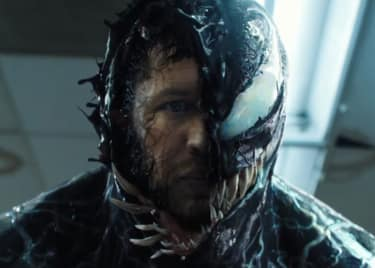 In October, Venom will begin Sony’s new Spider-Villain spinoff universe. Entirely separate from the Marvel Cinematic Universe, these films will star secondary characters, antiheroes and even outright villains from the Spider-Man comics. Reports suggest that Sony plans to start production on the second film, Morbius, just a month after Venom‘s release. Sony has both the opportunity and the challenge to create the kind of momentum that keeps the MCU going strong. Marvel viewers always know a current film is the latest chapter in an ongoing story. If Sony wants to make a villain-centric universe a success, it needs a similar approach. And that’s where Carnage comes into play. Carnage was created to be a darker version of Venom; he’s one of the most dangerous comic book villains of all time. Carnage is what you get when a shapeshifting alien symbiote bonds with a serial killer. The human killer is Cletus Kasady, who revels in bloodshed. He kills because he likes it. You don’t have to anger him to become a target; you don’t have to be interesting or a threat. All you have to be is alive. Kasady was on death row when he bonded with a symbiote and reinvented himself as Carnage. He uses the symbiote’s power to lash out at anyone and everyone, rejoicing in the chaos he leaves in his wake. 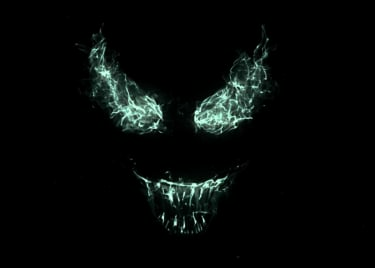 The moment Sony announced the Venom movie, viewers began to speculate that the film would feature, or at least introduce, Carnage. He’s Venom’s greatest foe. Just as Venom is a twisted mirror image of Spider-Man, so Carnage is the same kind of distorted reflection of Venom. Carnage and Venom wage war upon one another with gleeful abandon. In February, rumors began to swirl that Woody Harrelson would appear in Venom as Kasady. The conversation escalated in May, when Harrelson admitted to Collider that he’s in the film, but insisted he only has a small role. “I’m in a little fraction of this movie,” he explained, “but I’ll be in the next one, you know?” He refused to give any further details. It didn’t take much for fans to begin speculating. Harrelson has the right kind of presence to make Kasady work on the big screen, and his comment suggests that Sony is playing the long game. They’ve most likely chosen not to use Venom’s most iconic villain in their first film, instead choosing to build up to something greater. In 1993, Marvel Comics published one of the most memorable Spider-Man stories of the decade. “Maximum Carnage” was a brutal arc in which Carnage launched an attack on New York. His insane example drew other sociopaths to his side, and they cut a bloody swathe through the city. Spider-Man was forced to forge unlikely alliances in order to stop him, with characters like Venom, Morbius, Nightwatch and Black Cat. Matters were made worse by Carnage’s “girlfriend,” Shriek, whose power generated sonic frequencies that drove people to fits of blind rage. With New York falling to violent riots, Spider-Man’s faith in humanity was shaken. Here’s the interesting thing: With only one exception, all of the Spider-Villain films Sony has discussed are based on characters who appear in “Maximum Carnage.” The only exception is Silk, a superhero created by comics writer Dan Slott in 2014. It’s possible Silk could fill the Spider-Man role in some sort of “Maximum Carnage” movie, whether it be a direct Venom sequel or an event film. She could act as the moral conscience of the movie, desperately attempting to keep these brutal antiheroes in check. If this theory is correct, Woody Harrelson’s character isn’t just the future villain of a Venom sequel. He’s also the most dangerous villain in the Sony Spider-Villain universe, the Loki figure who will cause Sony’s antihero-Avengers to assemble in the defense of New York. 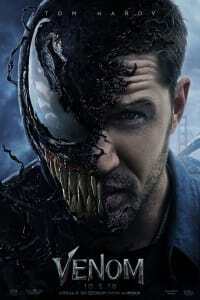 Venom opens at AMC October 5. Check back to get your tickets.